Meet the flaunt-worthy, feature-rich Micromax Evok Note – the smartphone that will enhance your mobile experience. With a powerful processor, a massive battery and a stunning camera, this Android smartphone takes your entertainment experience to the next level. 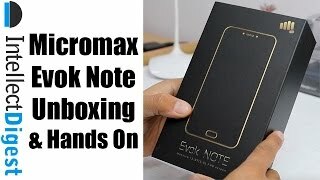 The lowest price of Micromax Evok Note (Champagne, 32 GB)(3 GB RAM) was obtained on April 22, 2019 6:39 am. Play games, edit videos, work on your PPT, and do much more without facing lag with the Micromax Evok Note as it’s powered by a 1.3 GHz octa-core processor and 3 GB of LP-DDR3 RAM. 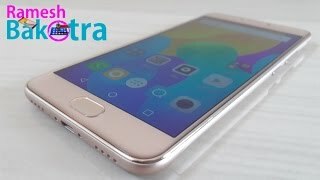 Watch movie and gaming characters come to life on this phone’s 13.97 cm (5.5) FHD screen. This Android smartphone offers crisp, clear and rich picture clarity while its 2.5D Glass ensures durability. If you’re a travel freak, then you’re going to love this easy-to-use ‘Around’ app. This native app helps you book flight tickets, cabs, hotels and much more in just a click. Capture life at its best on this Android smartphone’s 13 MP rear camera and upload the best pictures on your social media profiles to get noticed for your excellent phone photography skills. With its 5 MP front camera, you can video call your loved ones and click beautiful selfies. Don’t let anything come in between you and your entertainment. With this dual SIM smartphone, you can go all day without worrying about running out of charge as it comes with a massive 4000 mAh battery. Movies, new and old; songs, your favourite ones and the trending ones; pictures, the ones you click and the ones your friends share – store all that you want on the Micromax Evok Note as it comes with 32 GB ROM which can be expanded. Micromax Evok Note vs Xioami Redmi Note 4: Which Note would you choose?